href=”http://beholdgod.com/wp-content/uploads/2010/12/Michael_Raduga_01.jpg”> Give yourself a great Christmas present this year: a seminar with Michael Raduga! Synchronicity is bringing Michael to the Yelm/Rainier, Washington mid-December for an experiential workshop in achieving the phenomena called “The Phase”. The Phase is the state of mind which is the basis of what we commonly refer to as “out-of-body experiences”, “astral projection” and “lucid dreaming”. The real basis of these phenomenon have been studied in minute detail and it is now known how to easily master it and apply it effectively. For centuries, it was believed that this practice required many years of training — now only a couple of days are needed! Sharing and analyzing attempts made between classes, direct techniques for entering the phase, learning to analyze, fundamental practical applications of the phase (using the simulation effect in the phase, obtain information and influence one’s physiology), strategies for independent action. 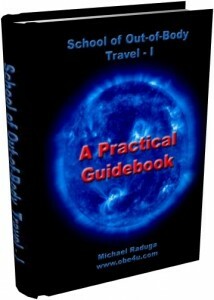 alt=”” width=”90″ height=”126″ />Michael requests that seminar participants view the YouTube videos on his website, www.obe4u.com and download and read his book, School of Out-of-Body Travel I: A Practical Guidebook. You can get a free ebook version by right clicking on the picture here and ‘Save As’ to your computer or Visit Michael’s site to download or order a printed copy. About 20 printed copies of the book will be available at the seminar for $35. Learn more about the Phase and about Michael’s training system. Michael is the author of more than 10 books, and a researcher and explorer of Out-Of-Body states phenomenon. The founder of the School of Out-Of-Body Travel, he is an experienced instructor and active practitioner and explorer of Out-Of-Body states of consciousness since he was 15 years old. Developer of numerous very effective techniques of exploration and practical application of OBE states. Personally and through his books, he has instructed thousands of participants. 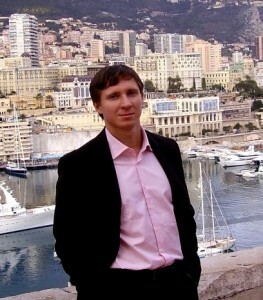 Learn more about Michael Raduga. will this workshop be repeated in feb 2011? I read it on the obe4u.com website. Viviane, the workshop will start on Friday, Feb 25-27. Maybe you can extend your stay? Michael is a great teacher.